1. Health Mount will work with the facility to identity their staffing need. This includes a tentative duration and budget. 2. We will search our data base to find the best highly skilled candidate. Once we feel a good match is made, the candidate’s CV will be presented to the facility for review. 3. 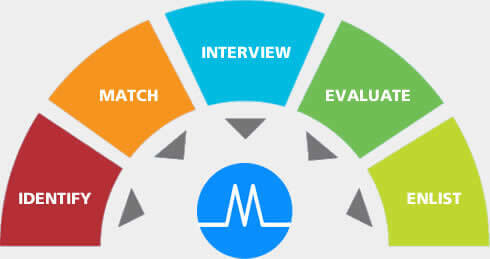 Once you are interested in a candidate, Health Mount will facilitate a phone or if possible, a personal interview. 4. The facility will have some time to evaluate each candidate. 5. If the facility wishes to proceed with a particular candidate, than our liaisons will work closely with the credentialing team to get the provider on staff with the necessary paperwork.